The couple were expecting their first child together before things took a tragic turn in October. 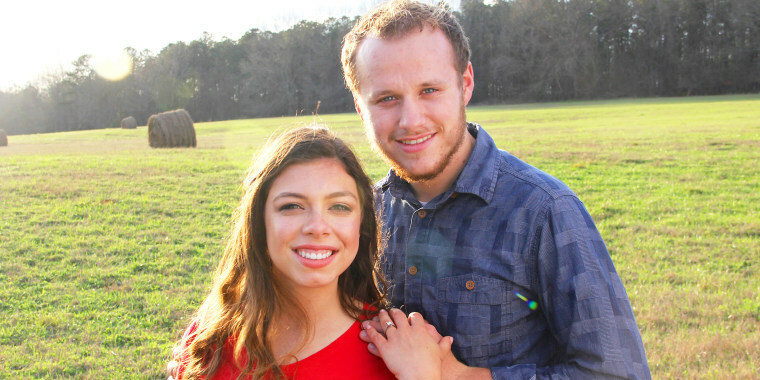 Josiah and Lauren Duggar tied the knot last June and had hoped to have another happy announcement to share with their fans by now, as shortly after their nuptials, Lauren learned she was pregnant with their first child. But in a promo for the new season of "Counting On," the reality TV couple revealed that they never had the chance to share that good news before bad news struck. "Lauren and I were actually preparing for a trip to go to a friend’s wedding," Josiah, 22, explained in a People-exclusive clip. "She started feeling really sick and started noticing some different things. ... I didn't know exactly what was going on." Nor did his 19-year-old bride — at first. "I wasn’t feeling well," she said. "I was cramping really, really bad, which was quite strange because I normally don’t. I was thinking maybe I had something that had gluten in it." Lauren couldn't hold back her tears as she continued the story. "It was late at night, and I went to use the restroom and ... there was the baby. Gone," she sobbed. "I couldn’t believe it, and I was hoping it wasn’t true." While the couple could have elected to keep their pain private, they decided to open up about it on the series, and in another clip, they explained why. "It really was a hard time for our family, going through all of this right after we got married," the former "19 Kids and Counting" star said as he stood next to Lauren. "All of our dreams of getting to see our little one and hold it in our hands were dashed before our eyes." She added, "We really wanted to share our story because a lot of people go through miscarriage, but nobody really talks about it. So we just wanted to let y'all know you're not alone." The new season of "Counting On" premieres Feb. 11 on TLC.